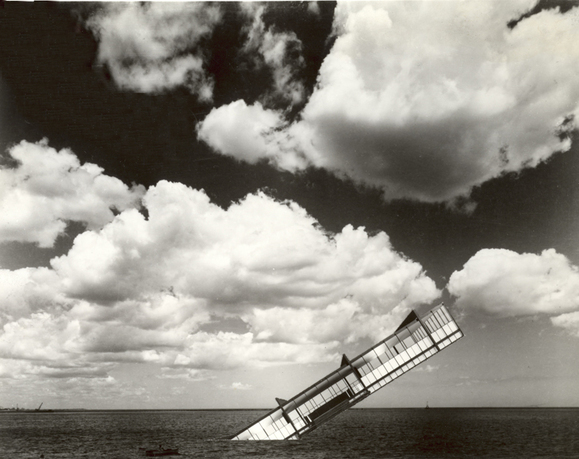 Ceci n’est pas une rêverie (This is not a dream) is both a retrospective and a reexamination of the architectural concepts of Stanley Tigerman. 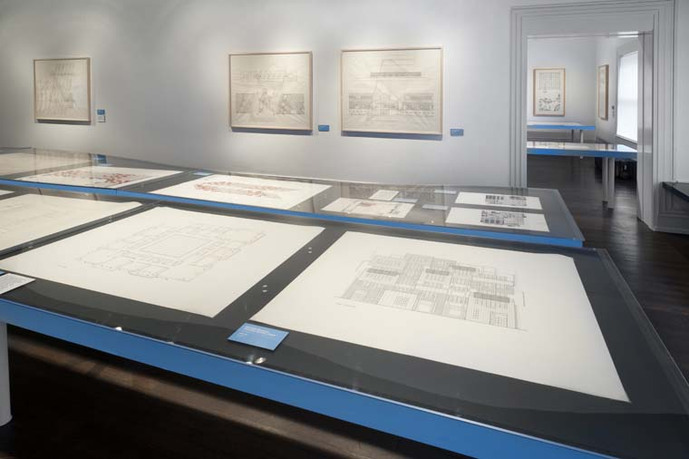 Throughout the exhibition, Tigerman’s texts, sketches, cartoons, object designs, architectural drawings, and models are organized in relation to nine themes that single out certain leitmotifs of his thought since 1960: Utopia, Allegory, Humor, Death, Division, (Dis)Order, Identity, Yaleiana, and Drift. 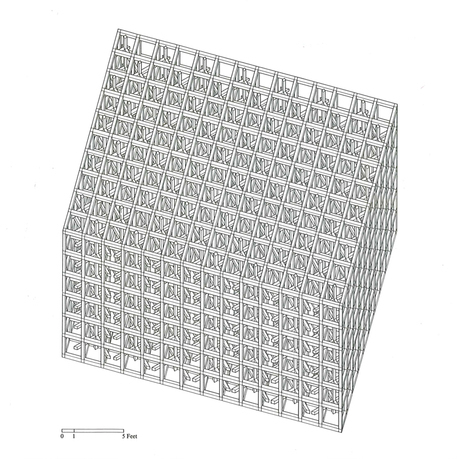 Evident in this work is Tigerman’s insistence on the transitory nature of architectural interpretations and on the spiritual and ethical value of ambivalence. 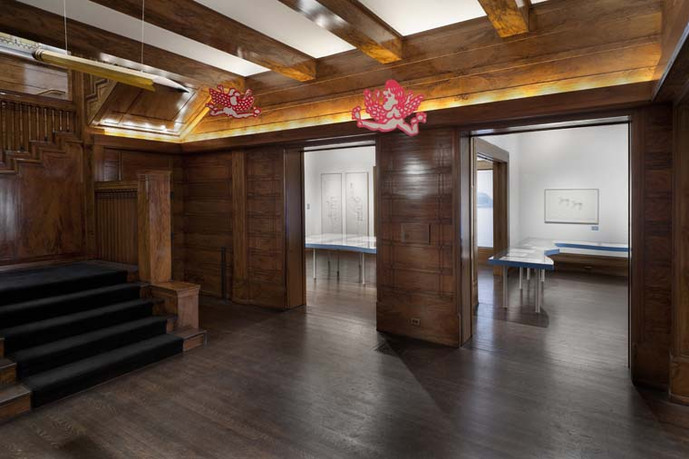 The installation spreading through all three floors of the Graham Foundation’s Madlener House builds on the playful, oneiric, and surrealist undercurrent of Tigerman’s work and underscores the abiding importance of his approach. 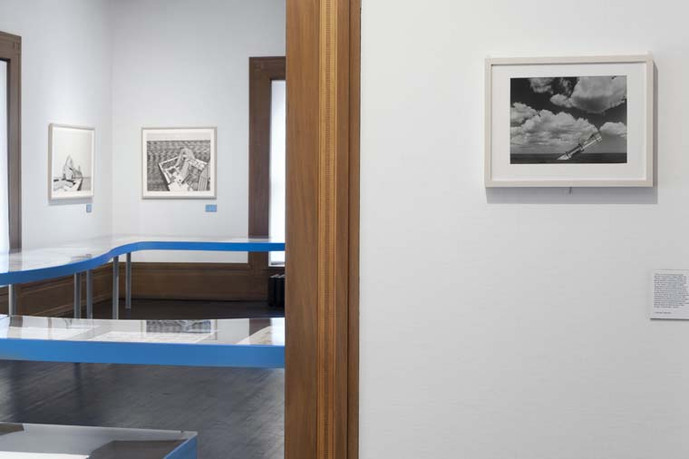 Exhibition curator Emmanuel Petit, Associate Professor in the Yale School of Architecture, notes that “Tigerman combines the nonchalant imaginativeness of a dreamer with the pragmatic focus of a realist. 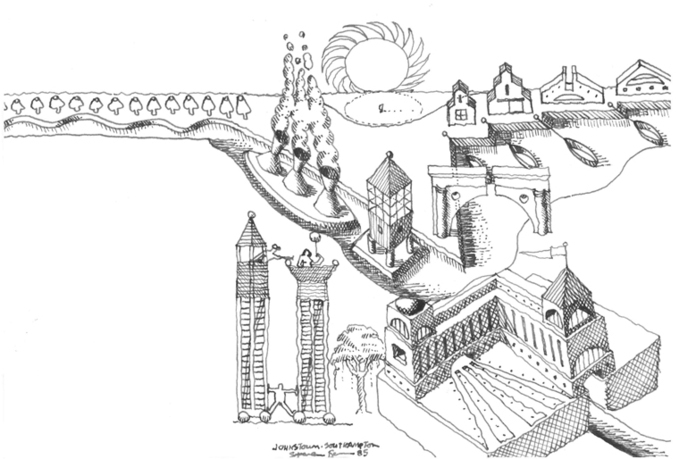 His belief in the pedagogical dimension of the ‘project’ of architecture accounts for the versatility of his work, which by far exceeds that of routine professional production.” This range of thought can be found in such early and mid-career exhibition highlights as Tigerman’s thesis projects from Yale University; a selection of his satirical architectural sketches, or Architoons; and projects such as the Five Polytechnic Institutes in Bangladesh (1966–75); the Urban Matrix proposal on Lake Michigan (1967–68); the Daisy House, in Porter, Indiana (1975–78); Little House in the Clouds project (1976); Dante’s Bathroom Addition, an unbuilt, allegorical project for Kohler (1980), and in more recent work including the Commonwealth Edison Energy Museum, in Zion, Illinois (1987–90); the Park Lane Hotel in Kyoto (1990); the Berlin Wall project (1988); and the Holocaust Memorial Foundation of Illinois, in Skokie (2000–2009). 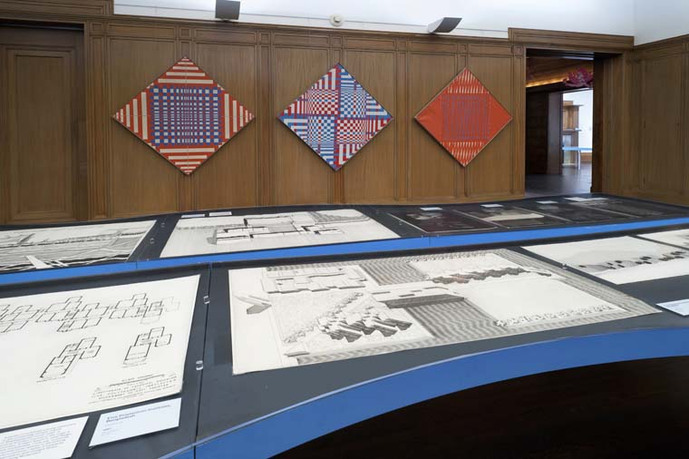 In addition to his own work, Tigerman has demonstrated an unwavering commitment to advancing the discussion of architecture in Chicago for more than five decades. 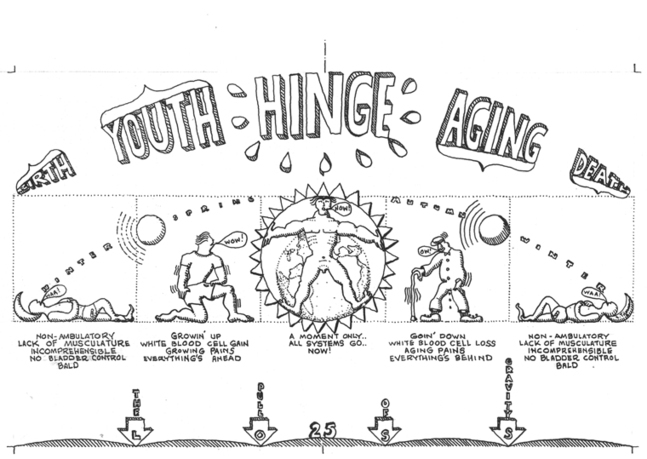 During this time he was a founding member of the critically engaged group The Chicago Seven; he was the director of the School of Architecture at the University of Illinois at Chicago between 1985 and 1993; and he co-founded ARCHEWORKS, a school and “socially oriented design laboratory” with Eva Maddox in 1994. 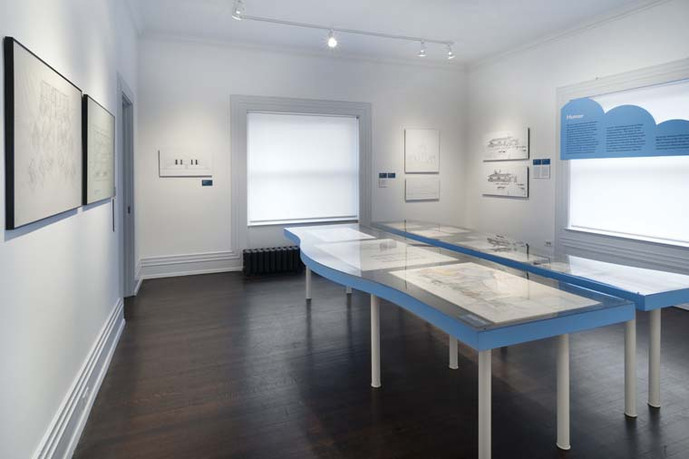 Most recently, Tigerman co-curated the exhibition Design on the Edge: Chicago Architects Reimagine Neighborhoods, featuring transit projects commissioned by the city’s top young design talent, and dedicated to the city’s new mayor Rahm Emanuel. 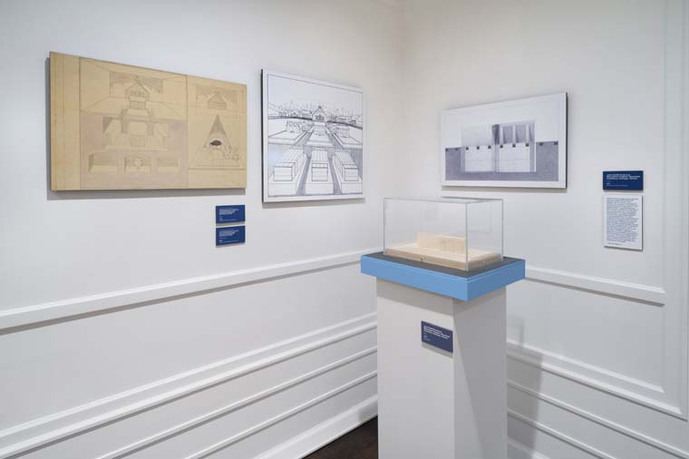 The exhibition is currently on view at the Chicago Architecture Foundation and was supported with a grant from the Graham Foundation. 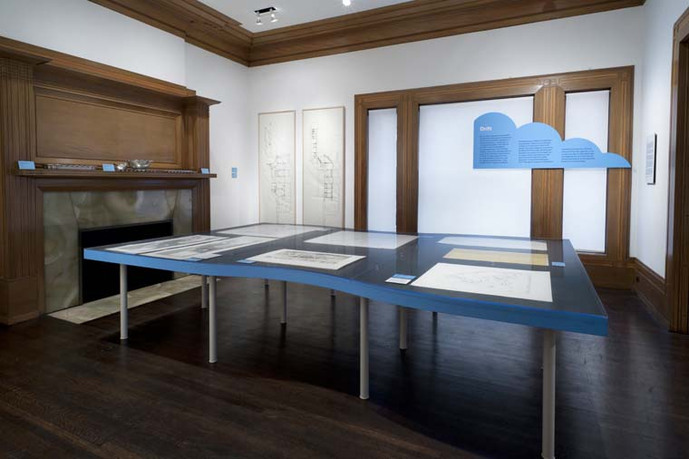 The exhibition marks the 2012 transfer of Stanley Tigerman’s drawing archive to Yale University’s Manuscripts and Archives depository. 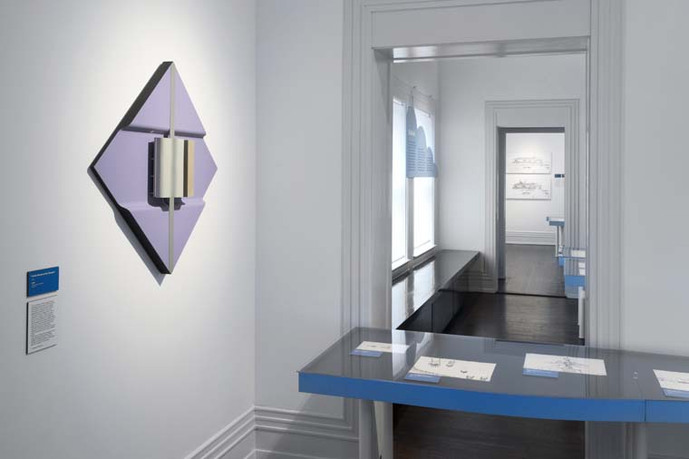 Ceci n’est pas une rêverie was curated by Emmanuel Petit, Associate Professor in the Yale School of Architecture. The Chicago presentation is organized by Sarah Herda, Graham Foundation Director, with Ellen Hartwell Alderman, Program Coordinator. Emmanuel Petit received his MA and a PhD degrees from Princeton University (2001, 2006), and an MArch from the Swiss Federal Institute of Technology in Zurich (ETH, 1998). He is editor of Philip Johnson: The Constancy of Change, published by Yale University Press in 2009, a project made possible in part by an institutional grant from the Graham Foundation. 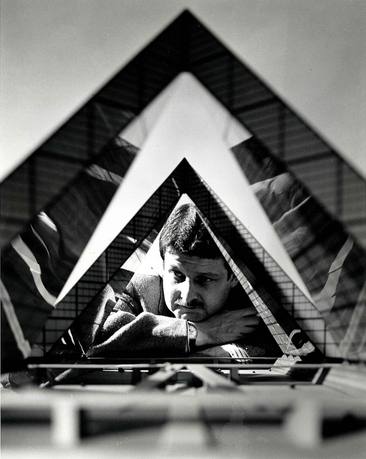 His essays have appeared in JSAH, Log (ANY Corporation), Thesis (Bauhaus), Trans (ETH), Thresholds (MIT), Archithese, Perspecta, and Constructs (Yale), as well as in a number of exhibition catalogues (V&A London, MAK Vienna, Vauban Luxembourg). 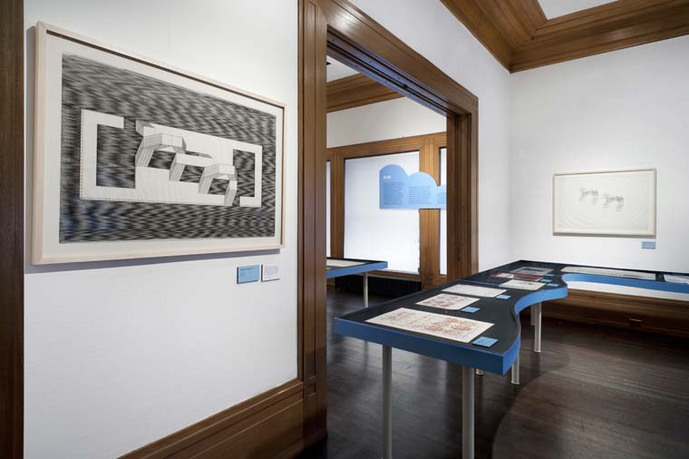 He is guest curator of An Architect’s Legacy: James Stirling’s Students at Yale, 1959-83 and co-curator of Peter Eisenman’s exhibition Barefoot on White-Hot Walls at the Museum for Applied Art in Vienna (2004). Ceci n’est pas une rêverie coincides with the release of two new publications by Stanley Tigerman: Schlepping Through Ambivalence: Essays on an American Architectural Condition, a selection of Tigerman’s collected writings from 1964 to 2011, edited by Emmanuel Petit and published by Yale University Press ($45); and Designing Bridges to Burn: Architectural Memoirs by Stanley Tigerman, Tigerman’s autobiography, published by ORO Editions ($24.95). These books and a selection of out of print books by Stanley Tigerman will be available for sale in the Graham Foundation bookshop during run of the exhibition. 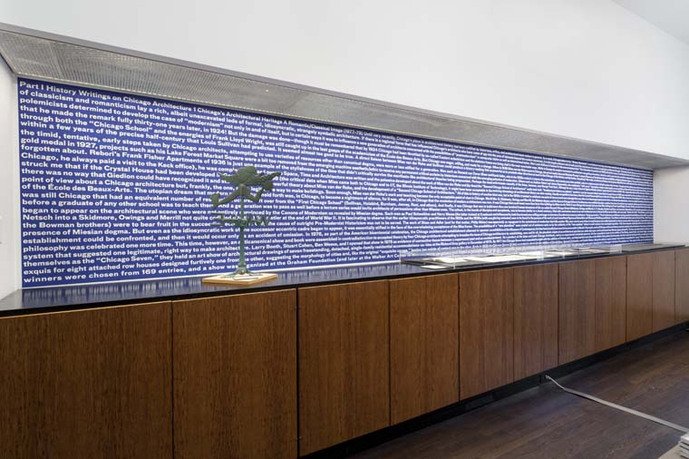 The exhibition originated at the Yale School of Architecture, supported in part by Elise Jaffe and Jeffery Brown, and a grant from the Graham Foundation. After the Graham Foundation presentation in Chicago, the exhibition will travel to the Temple Buell Gallery at the School of Architecture, University of Illinois at Urbana-Champaign. 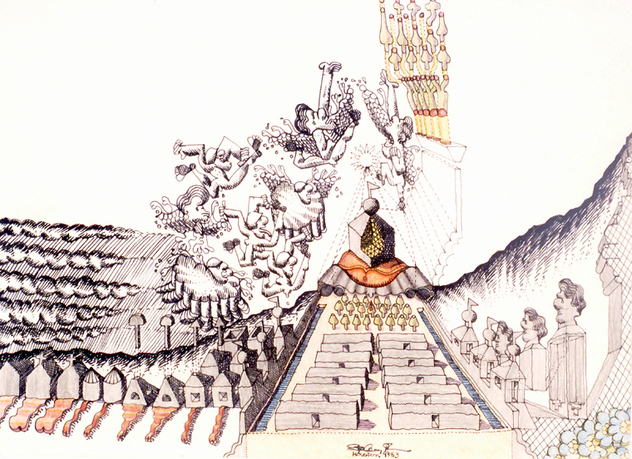 From left: Stanley Tigerman, sketch, ink on paper, 1979; illustration courtesy of Stanley Tigerman. 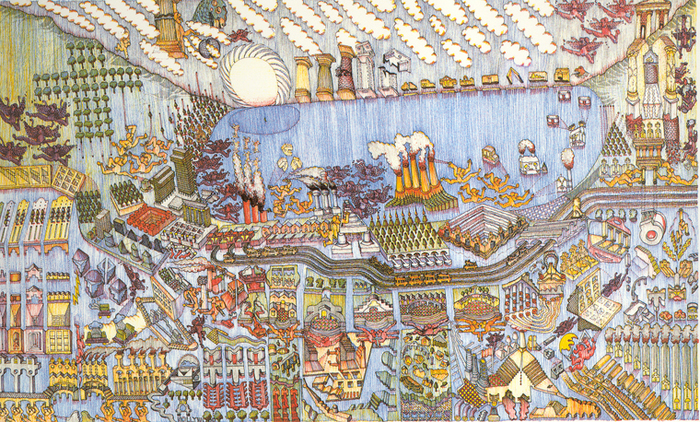 Stanley Tigerman, sketch, pencil on paper; illustration courtesy of Stanley Tigerman.